As you may know, KROST offers M&A and Capital Markets Service. Through our resources, experience, relationships, and by running a proven process, we can identify more parties to engage. This increases bargaining power and improves the chances of a successful close. Paren Knadjian leads the practice and comes with over 15 years of experience in mergers and acquisitions as well as equity and debt financing. Paren has successfully completed over 50 transactions acting as both a buy-side and sell-side advisor, as well as a broker/dealer. He also understands executives pain points and concerns through his first-hand experience leading several high-tech companies as CEO/COO, and CFO. 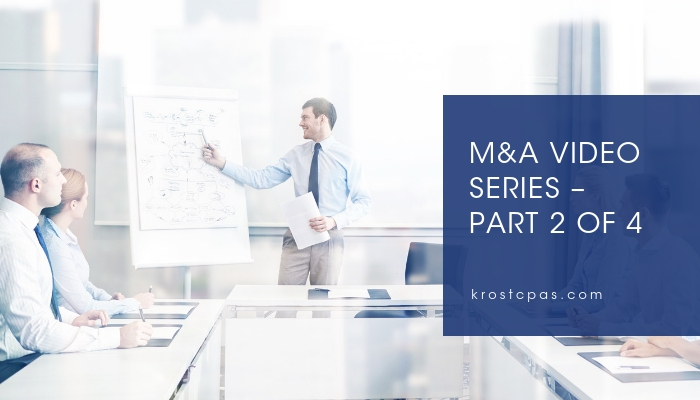 Learn more about our M&A practice in our latest video, as Paren talks about the different types of services offered at KROST. Listen as he explains how our consulting and advisory team delivers high-touch service available during every step of the process, whether the need be great or small. Watch part 2 of 4 to learn more about our M&A and Capital Market services below.